In a town full of first-class hikes, locals love Dry Creek Trail #52. 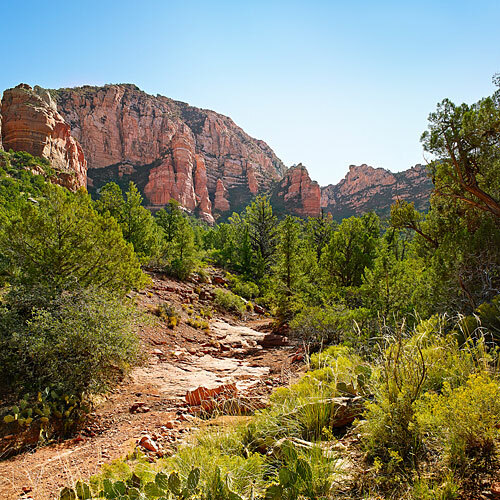 The 5-mile trek winds through Coconino National Forest, with stop-and-stare views of terraced sandstone formations, and plenty of quiet moments to sneak up on grazing deer. Near Dry Creek Rd. at Forest Rd.